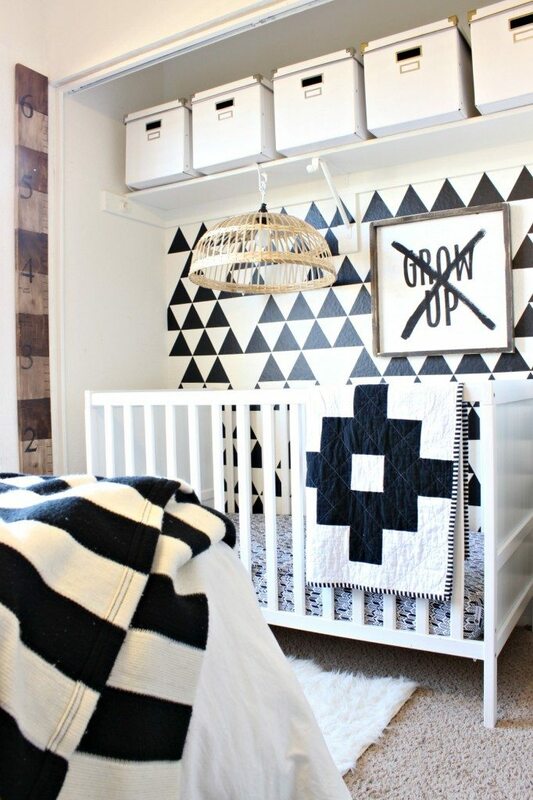 I am soooo excited to finally reveal my little boys room. This room kind of acts like a guest room a lot of times since we get a lot of visitors at our house. When guests come, my 3 year old, Tanner gives up his big queen size bed and bunks up with my and the hubs. That way guest (when it’s family or close friends) share a room with Palmer (our 1 year old). If the visitor has a baby, Palmer is happy to give up his crib for a night and make camp in a pack ‘n play. You know how the whole rearranging thing goes when guests are over, right? 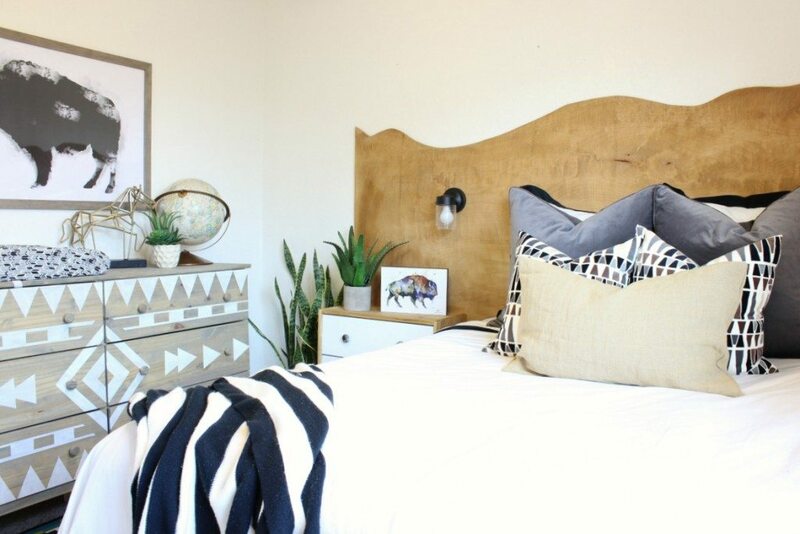 I wanted this room to make a tribal inspired vibe. Both boys that share this room were born in Buffalo, New York and Buffalo has rich Native American history, just like our home state of Arizona. I wanted the room to capture that feel with a modern twist and a few childhood references, like our ABC art work we got from LetterCraft. 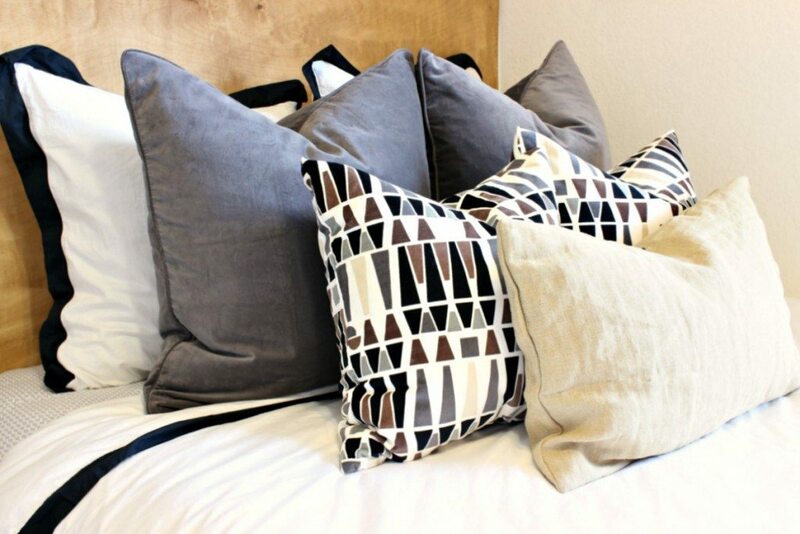 The bedding is from one of my favorite retailers for bedding, Crane and Canopy. 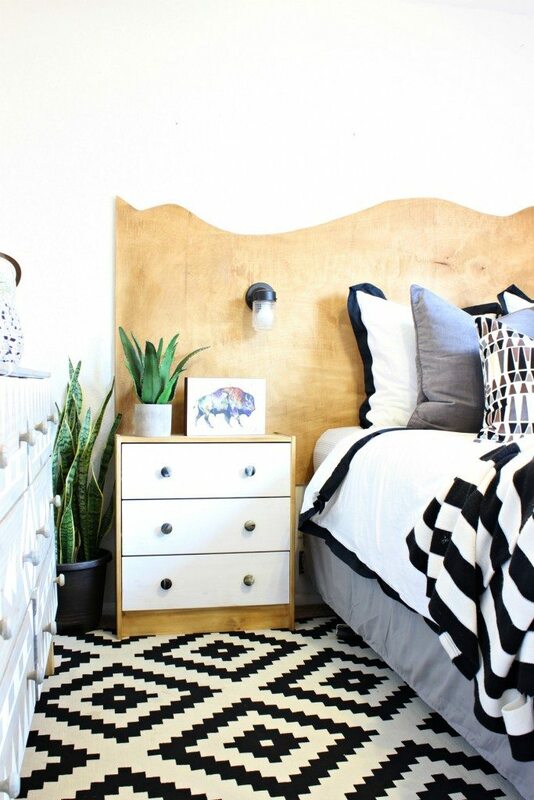 I used the Linden Black Border bedding in their room because it’s my favorite neutral bedding ever!!! They have insane prices and the quality is unmatched! I used it in my master bedroom here. Al of the throw pillows (and the rug!) 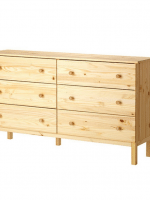 are from Ikea. I also got the side table from Ikea and painted and stained it. 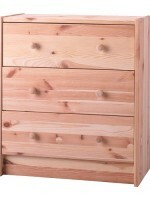 It was the very popular RAST nightstand that I dressed up. 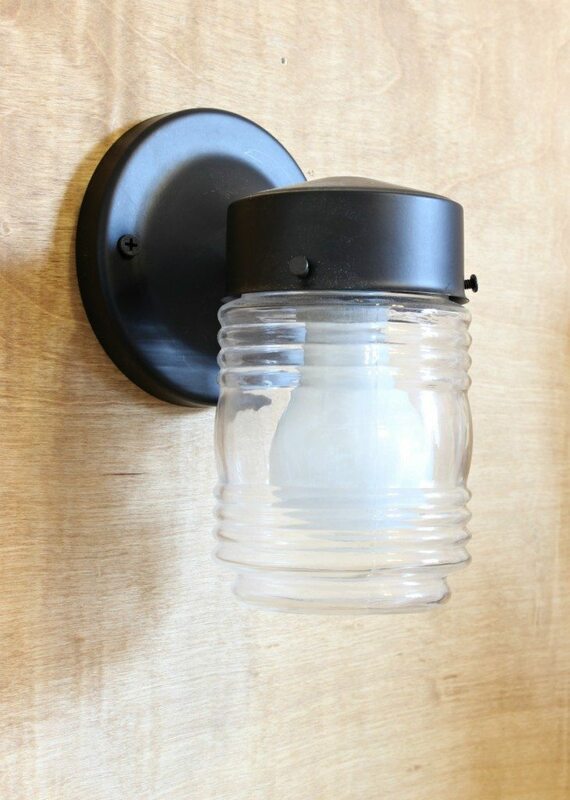 Check out our favorite Ikea RAST hacks here. 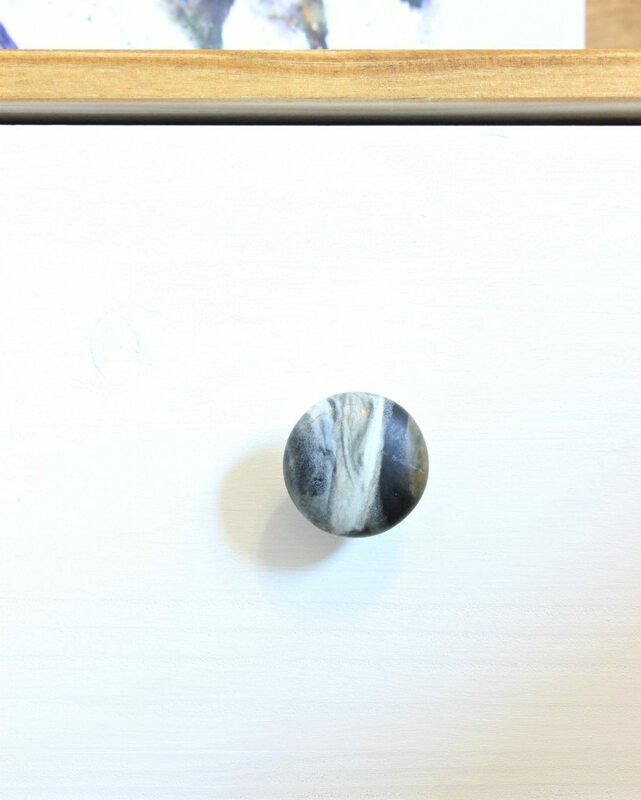 I’m obsessed with these cool earthy looking marble knobs that I got from Hobby Lobby! I was super impressed to find them there. I made the headboard (tutorial coming soon!) and added this super fun light to it! The nightstand was a little tight for a lamp so the mounted light was perfect. You may recognize the dresser that Savannah and I stained and painted. 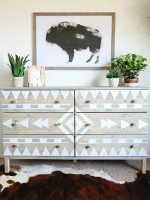 This Aztec inspired pattern on the dresser inspired the whole room makeover. These cute accessories were a fun addition. 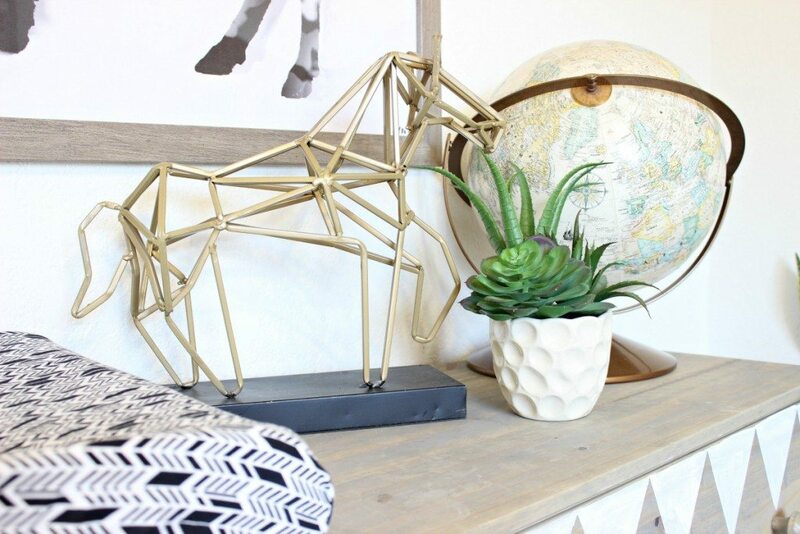 I grew up with horses so I loved this gold geometric horse from Hobby Lobby. 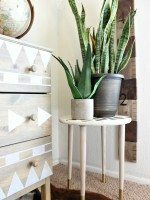 The faux succulent is from HomeGoods and the globe was a vintage flea market find. In this photo you can see the feet of my favorite print I designed for this room. 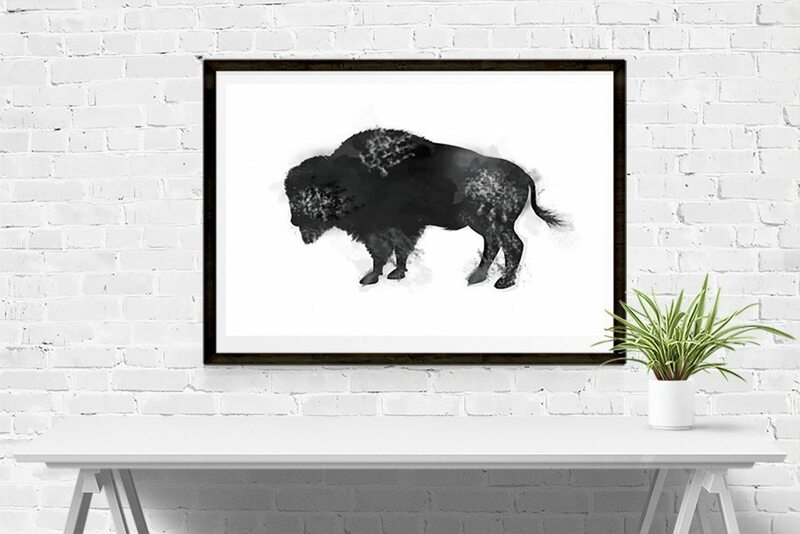 It’s a darling watercolor Buffalo, you know, since my kids were born in Buffalo. 😉 After I printed it, I had a computer mishap that resized it to 1 pixel! I was sooooo sad because it was forever gone. I decided to recreate a very, very similar version for you guys. You can purchase this oversized print at Savannah’s Etsy shop, Classy Clutter Print Co. She will be listing it tonight or message her on Etsy to purchase it. 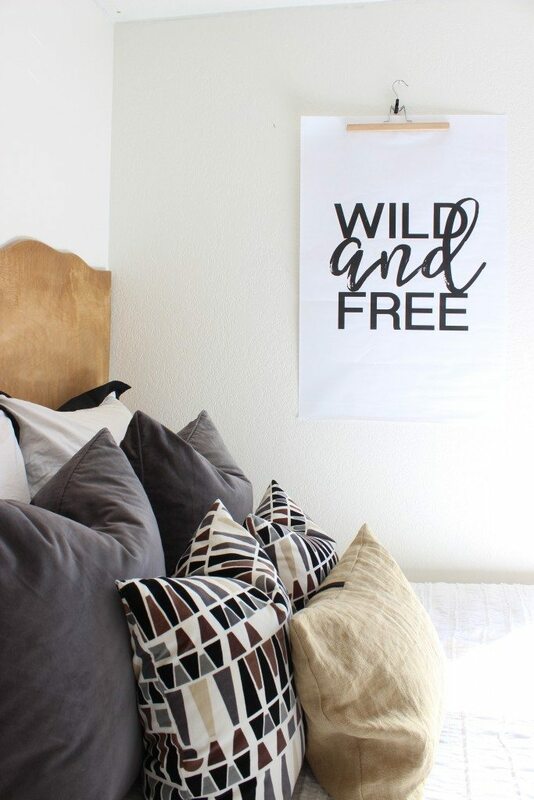 You can also find this ” Wild and Free” print that is perfect for this room from Savannah’s etsy shop HERE. 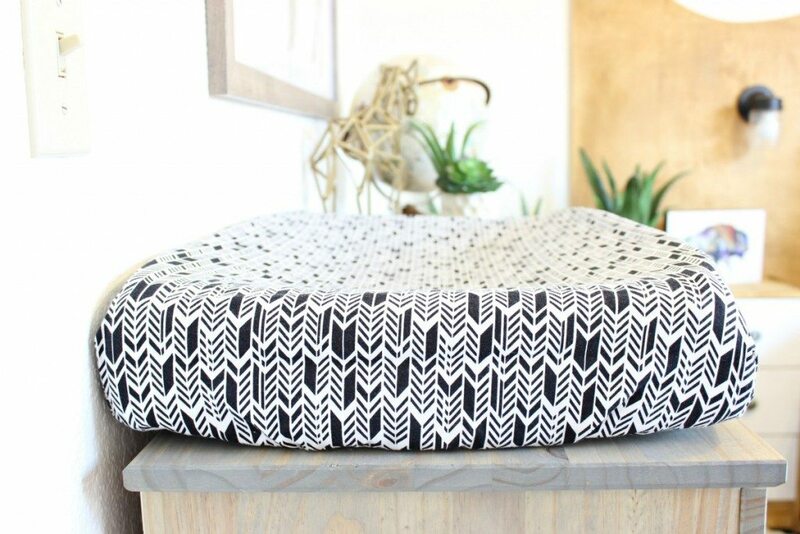 We’ve declared our love for KB Cute and her gorgeous designs many times and the praises continue with this gorgeous black and white arrow changing pad cover she made for little Palmer. His crib sheet and quilt came from her shop too! Check out KB Cute here. Speaking of Palmer, his little crib nook is one of my favorite spots in the house. 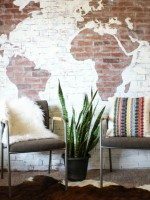 I made this triangle faux wallpaper using vinyl decals. You can purchase the same vinyl decals from my Etsy shop here. We also removed the closet doors to expand on the square footage of the room. You’d never know we put baby in the closet! 😉 My babies don’t have any hanging clothes so this was perfect. All of their clothes fit in their dresser and the nightstand holds extra sheets, diapers and baby blankets. I love this room so much and I’m so happy with how it turned out. 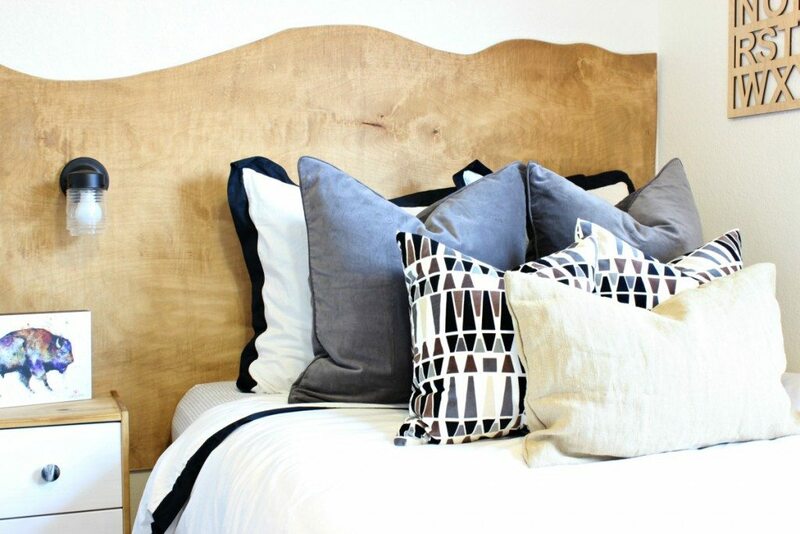 I’ll share the faux wallpaper tutorial and headboard tutorial super soon! What a fantastic space! You two really are SO talented! Thanks for sharing! Thank you and thank you for stopping by! 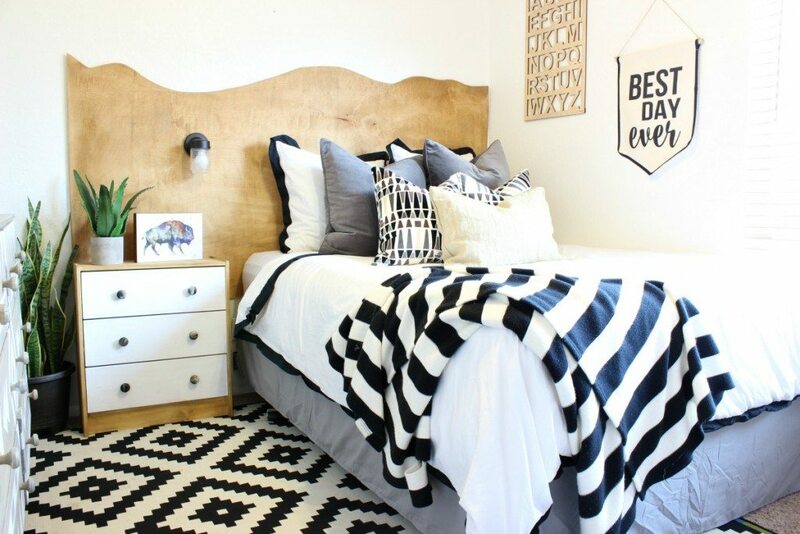 ADORE that headboard!!! Totally FAB!!!! Nice job, Ladies!!! LOVE this room so much!! You gals are some talented ladies. 👌🏼👌🏼 any chance the headboard tutorial will be posted soon. I’ve been patiently waiting for it, lol! Thanks so much! This is a pretty interesting article when it comes to this topic. Like that bedroom.